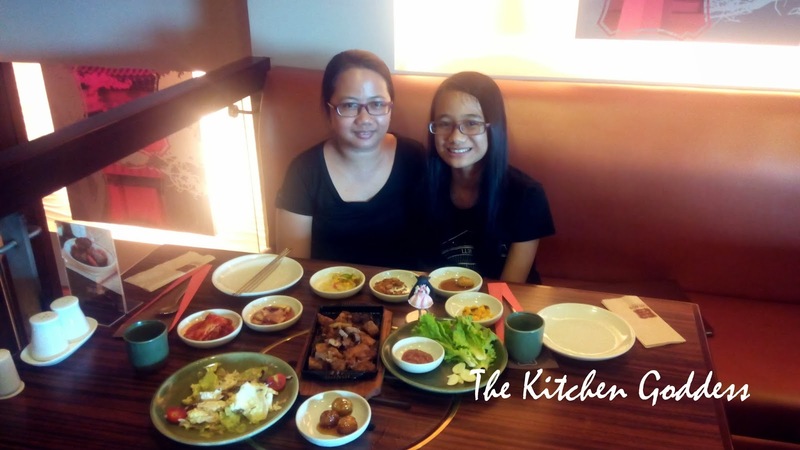 I've been curious about Sariwon, a Korean restaurant since it opened in Promenade but I haven't had the time to dine until last Sunday because daughter wanted to visit her beloved Fully Booked. 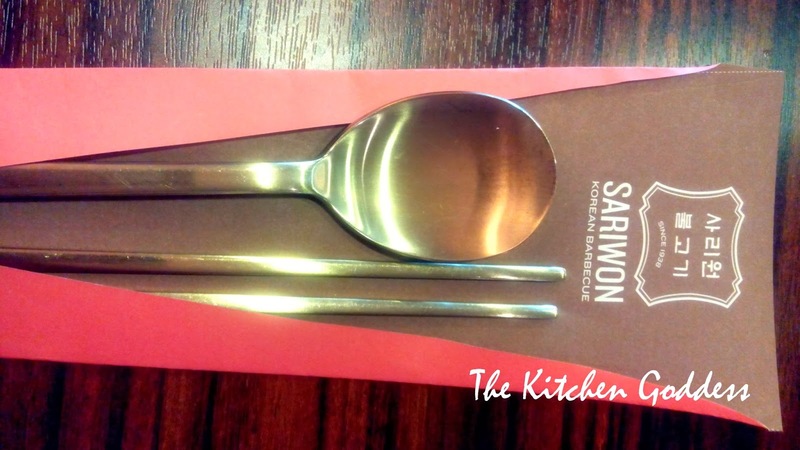 Actually, this is Sariwon's second branch, the first one is in BGC (too far!) and we don't really frequent the area because of the traffic and the distance. Ban Chan. Look at that! The server mentioned that everything is unlimited, all we have to do is ask. Wow! Daughter and I liked that mashed potato/squash so much that we had 2 servings each. The potato and squash are well mashed that its really hard to decipher which is which. Must try! Then there's the peanuts which we thought at first was salty/spicy but turned out sweet/salty, we had an extra serving. Another favorite is the soya sprouts in sesame oil and the marble potatoes that merited another extra serving. The lettuce salad was quite good also. The kimchi was too spicy for me but I like it nonetheless. We haven't had the main fare yet but we're already full thanks to the ban chan. And the servers are all really nice and attentive and smiling which makes the meal much more special. 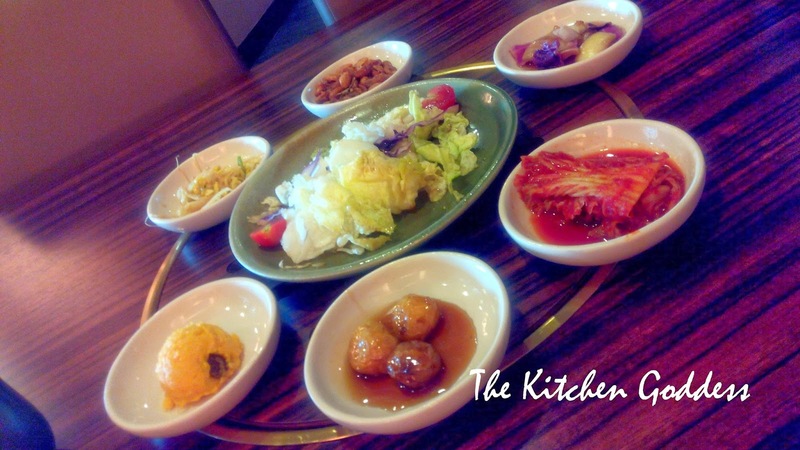 Dwaeji Galbi. Grilled pork loin. I ordered this because we already had lunch with hubby earlier but daughter and I just wanted to please our cravings. This is grilled already although there's tons of choices if you want to grill the meat yourself. Nah, I still have to go somewhere afterwards and I don't want to smell like food. Even if we said we won't be eating rice and will just pair the grilled meat with the ban chan but the dwaeji galbi was so flavorful that we can't help but order a bowl of rice. 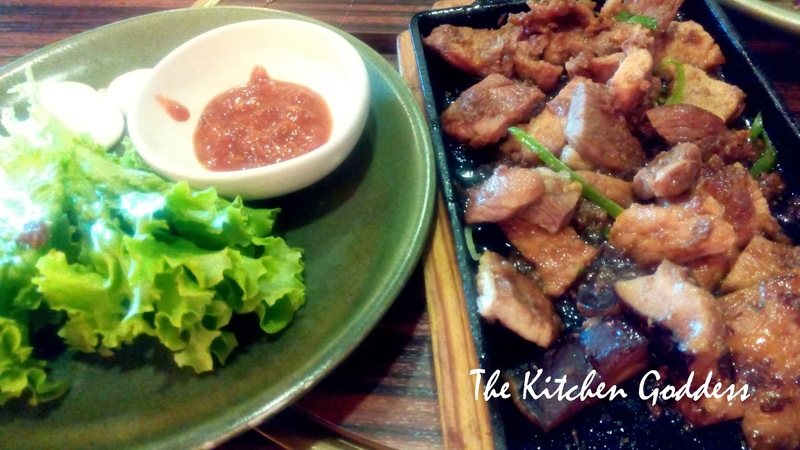 This order is good for 2-3 pax and only costs P380 (excluding tax).